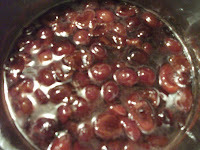 In a heavy saucepan, bring cherry juice to a simmer. 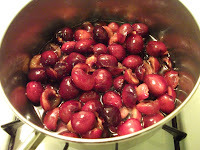 Add cherries, sugar and lemon juice and simmer until cherries soften. 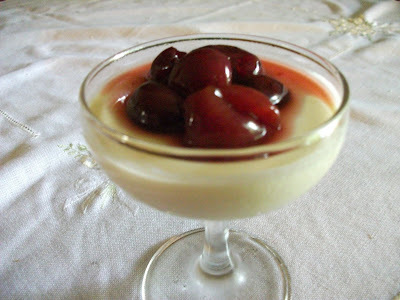 Make a "slurry" by blending the corn starch with the amaretto liqueur. 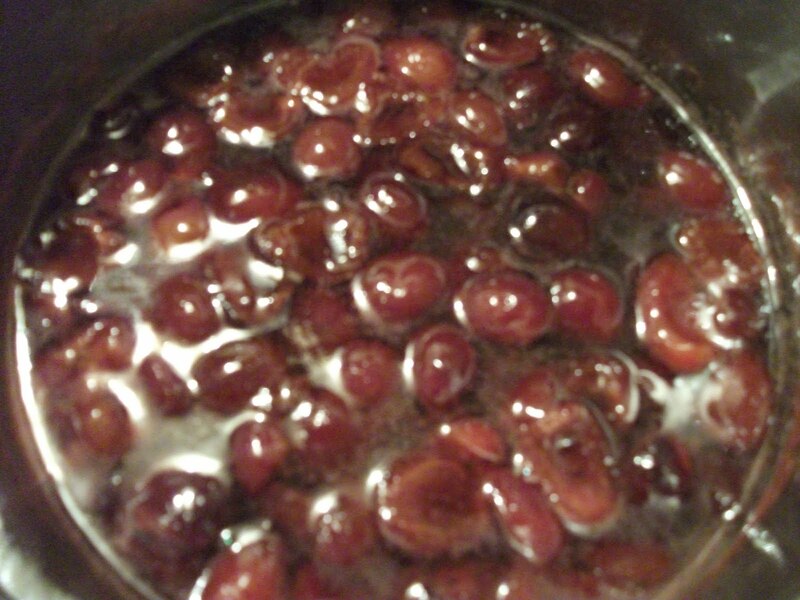 Slowly stir the amaretto/corn starch mixture into the cherry mixture. Cook over medium heat until mixture boils and thickens. 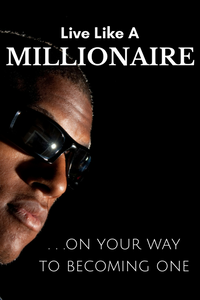 Allow mixture to cool a bit before transferring to a container. Cover and chill in the refridgerator until cold. In a medium saucepan, combine cream, sugar, vanilla bean and seeds. Bring mixture just to a simmer. 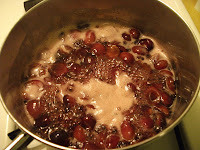 Remove from heat, cover and allow cream to steep for about 15 minutes. 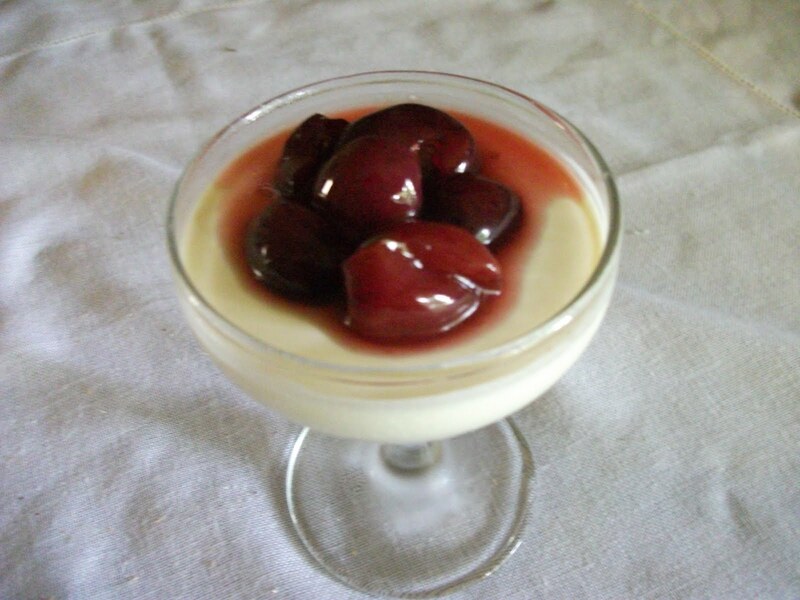 While the vanilla cream mixture steeps, sprinkle one teaspoon of unflavored gelatin over a small bowl containing two tablespoons of water. Let stand until evenly moistened (five minutes). Uncover the vanilla cream mixture and bring back to a simmer over medium heat. Remove from heat, add geletin and stir until dissolved. Remove vanilla bean and pour cream mixture into 4 four ounce ramekins and allow to cool to room temperature. Cover with plastic wrap and refridgerate for about three hours until the panna cotta is set. No need to unmold-just spoon a bit of the cherry compote over the panna cotta before serving.